A vibrant city. A beautiful campus. Strong ties with industry and research partners. These are some of the things that make it a great time to become a UNO student. 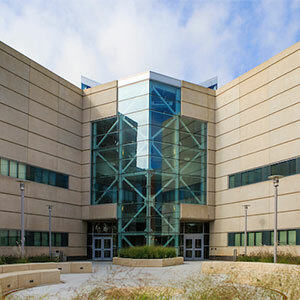 The College of Information Science and Technology (IS&T) is one of two colleges within the Peter Kiewit Institute (PKI), a permanent anchor on Pacific Campus. Students are encouraged to boost the value of their university experience by getting involved on their campus and in the community. Here are a few places to start. Regular IS&T Round Table discussions bring students face-to-face with academic and industry experts to learn about trending issues, new research and emerging areas of information technology. The College of IS&T encourages its students to apply for internships with local business. Contact your department chair to learn if your proposed internship meets the requirements for academic credit. The Failure Fund is a grant competition that awards IT Innovation students between $150 - $1,000 to pursue a creative or innovative idea. The purpose of this scholarship is to fund innovative ideas while empowering them to model the traits of innovators and creative entrepreneurs, mainly by being comfortable with failure. The Association for Computer Machinery (ACM) is one of the largest groups of computing professionals in the world and a major force in advancing the skills of information technology professionals and students worldwide. The UNO Women in IT Initiative is part of a community driven task force that aims to introduce women into IT education and the job force. The Management Information Systems Student Organization (MISSO), just one of the many student groups at IS&T, provides career development advice, contacts and offers a sense of community to students. IS&T annually selects students to join Student Diplomats where they promote awareness and careers in the IT field. In addition to representing their fellow IS&T students, they help recruit others on campus through outreach activities and host distinguished visitors on campus. The Institute of Electrical and Electronic Engineers (IEEE) is an organization dedicated to advancing technological innovation.